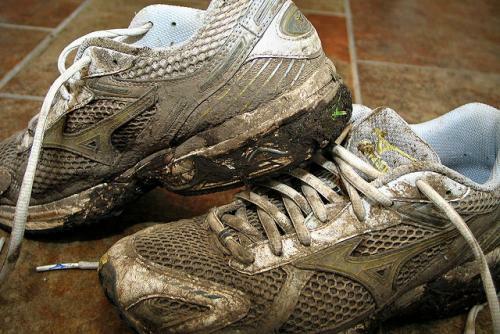 How Should I train for a Mud Run? Whether it's your first experience with a mud run or your 10th, it definitely doesn't hurt to get the proper training in for one so that you can burst through the finish line without immediately keeling over afterwards. Mud runs are nothing to be messed with, but if you can increase your endurance, strength, and cardiovascular efficiency with the proper mud run training, you're going to be well on your way to finishing a run rather easily! A mud run is essentially very similar to a 5k race with various obstacles placed throughout. Obstacles can range anywhere from 10-25, and they present various challenges that runners must overcome. Think of climbing, balancing, crawling, etc. Additionally, much of this must be done amidst a lot of mud. So, how do you train for something like this? As you would probably presume, your endurance and cardiovascular health play a huge role in determining whether you'll be able to stick the mud run out, but they are not the only important factors to consider shaping up on before your big day. Ideally, you would want to be able to run 6-8 miles straight before embarking on a mud run due to how demanding it can be. Although you will not be running nonstop throughout the mud run, you will still have to stop and overcome various challenges before continuing on with the rest of the race. A great way to train for this type of race is to mix in trail/hill running. Giving yourself many inclines and changes in terrain is a great way to get your body acclimated to what it will be dealing with on the day of your mud run. Do not forget upper body strength or coordination, either. Training in these areas will be useful for the obstacles you have to work through, and will overall increase your run time the more you hone them. Overall, the more you can mimic the race, the better. For example, you may want to add a bit of extra weight to your attire while training to mimic being drenched in mud and/or water. It sounds silly, but it will definitely help you once your big day rolls around. Remember while you're training- you should work harder than you'll work on the actual day of your mud run. Take the following weekly schedule into account for training yourself. You should complete your entire training program in 2-3 months, while gradually adding intensity. The earlier you start, the better chances you'll have of lasting throughout your mud run. Stick to the training routine every day, and you'll be ready to crush the run and leave it no mercy! Follow us on Facebook for more great mud run tips and inspiration!